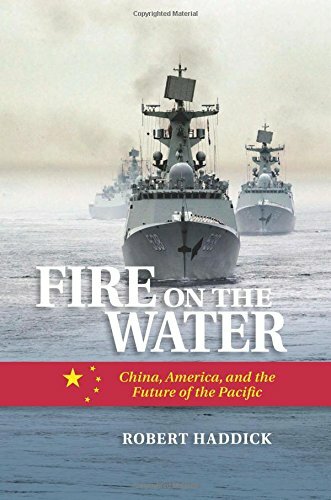 In Fire on the Water, Robert Haddick contends that much of the general public and many U.S. policy experts are unaware of the threat that China’s military modernization poses to America’s national interests in the Asia-Pacific region. He maintains that within a decade China will have the military power to place U.S. influence throughout East Asia at risk. To avoid a future crisis, the United States needs to fashion a new and more competitive strategy, one that better matches the strengths of the United States and its allies against China’s vulnerabilities. The U.S. forward military presence in East Asia is essential to protecting America’s standard of living, its strategic interests, and the region’s stability. This will be an increasingly difficult burden for the United States to sustain. However, U.S. forward presence will be less costly and less risky than encouraging China’s neighbors to counter China’s rising power by themselves, which would likely result in an unstable arms race and a conflict that would damage America’s interests. China’s military strategy, centered on its rapidly expanding aerospace, naval, and land-based missile forces, is exploiting emerging vulnerabilities in America’s forces in the region. Plagued by institutional barriers, the United States has been slow to adapt to China’s rapid military modernization. Current U.S. responses are impractical, because they expend defense resources against China’s strengths rather than its weaknesses. Fire on the Water proposes far-reaching changes to U.S. diplomacy, military programs, and strategies to counter China’s well-designed military modernization plan. The proposed competitive strategy will strengthen deterrence and bolster the credibility of U.S. alliances in the region. Throughout history the rapid arrival of a new great power has usually resulted in conflict. The United States, China, and Asia can avoid that fate if the United States adopts a more competitive strategy to influence China’s choices and thus maintain the region’s stability and prosperity.